Super 8 by Wyndham Stamford/New York City Area, Hotels Stamford Connecticut. 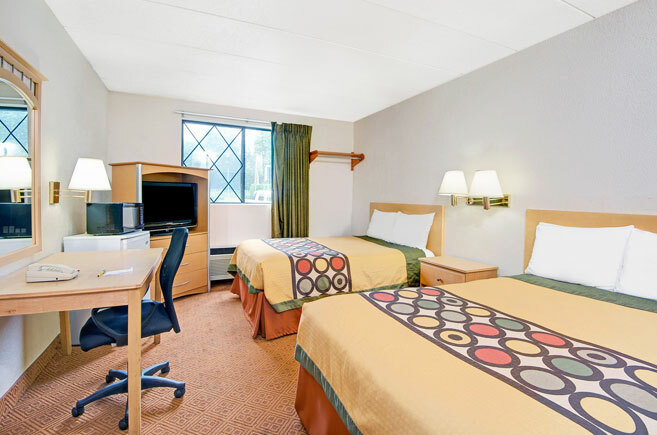 Welcome to Super 8 Stanford – New York City Area, a great place to stay that's within quick walking distance of the Stamford train station and much more. Plus, our Stamford, Connecticut hotel is the perfect stop along Interstate 95. You'll find us just 30 minutes from all the New York City attractions and close to Mohegan Sun Casino. Amenities you'll enjoy when you stay with us include our free SuperStart breakfast, guest laundry facilities, free parking, free coffee and more. In-room amenities that further enrich your stay include microwaves and refrigerators as well as 32-inch flat-panel televisions and free wifi. Many of our guests stay because of our close access to New York City. You may also choose to explore the many art galleries, shops and dining choices in downtown Stamford. 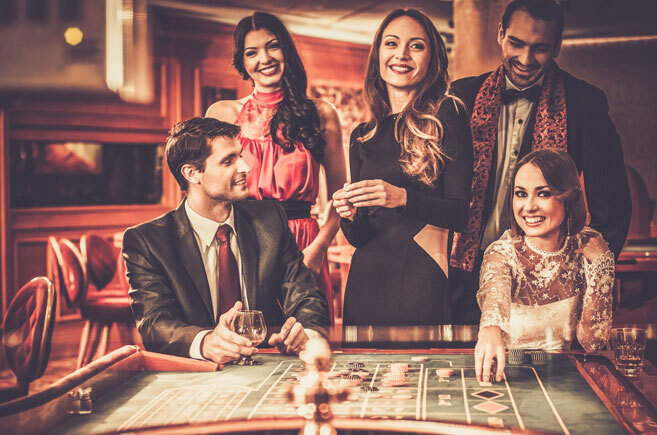 Or the casinos may be the attractions that are most enticing to you. New York City offers Times Square and Central Park for your enjoyment. You can also cruise Long Island Sound, visit the Stamford Museum and Nature Center and more. We hope you will make our Super 8 your home away from when you visit this vibrant and interesting area. We look forward to serving you. Why not book now while it's on your mind? We'll be here for you. At Super 8 by Wyndham Stamford/New York City Area, we're a smart choice for business travel no matter whether you're looking for motels in Stamford, Connecticut or New York City area hotels. We hope you'll agree that we're the best of the downtown Stamford hotels CT has to offer. We understand how challenging business travel can be. You need a great night's sleep to be productive the next day. By choosing to stay with us, you're choosing to have a good experience in this region that will make returning a joy. Your great Stamford or New York area experience starts with a great room at our hotel. The hotels Stamford CT has available can vary significantly in quality and price, and not all are appropriate for family travel. If you need the best of the cheap motels in Stamford CT for you and your family – no matter what brings you to town – stay with us for a free breakfast, in-room microwaves and refrigerators and more. Family travel is meant to be fun, but so often it can be a chore because of having to deal with children, unfamiliar locations and bad hotels. We'll make your time in the area as pleasing as possible and help you get the rest you need to see the sights and then get back on the road to your next destination. At our Super 8, we're proud to be the best of the hotels Stamford, Connecticut has to offer. We're your best choice of hotels near Mohegan Sun Casino CT too. If you book our hotel on faith, we're sure you'll like what you see and experience from the moment you step inside. We focus on providing an impressive experience. But you must book soon to ensure that you get a room. We get busy because so many people have already stayed with us and recognize the value we provide. For the most affordable stay at the most convenient location with the most convenient price, there really is no other choice. For comfort, we're your top choice in Stamford, Connecticut hotels. We're also great when you're looking for a Stamford hotel New York City travelers will find comfortable and appealing. No other motel the Stamford area has to offer will do a better job for you or offer a better rate. That's something we can say with confidence after reviewing other properties and guest comments. We're pleased to always come out on top. Book with us no matter what brings you to the area and stay in comfort. You'll be glad you did. Just be sure you book soon. You never know when we might be fully booked and you'll be left without the great experience we provide. We don't want that to happen. PET POLICY A maximum of three pets are allowed for a non-refundable charge of $20 per pet. Pet Sanitation Fee is $20 if applicable. ADA defined service animals are also welcome at this hotel. This website is owned and maintained by Super 8 by Wyndham Stamford/New York City Area a licensed user of certain proprietary trademarks and service marks of Super 8 Worldwide, Inc.